LANSING, Mich. (AP) — The Democratic governors of Michigan, New York and Washington on Friday asked the Trump administration to let states offer unemployment benefits to federal employees who are working without pay during the partial government shutdown that began nearly a month ago. Govs. Gretchen Whitmer, Andrew Cuomo and Jay Inslee said in a joint statement that their states are providing the benefits to furloughed workers. But federal regulations prevent those who are on the job without pay from eligibility. The governors called on the U.S. Labor Department to immediately provide “clear, unambiguous” guidance on whether states have flexibility to waive the rules to help those working without pay — Transportation Security Administration officers, air traffic controllers, Coast Guard members and others. If the flexibility does not exist, they said, the department should work with congressional leaders to change the law. “Simply put, there is no rational justification to deny these employees the same short-term relief being offered to furloughed federal employees across the country,” the governors said. They said they are “profoundly distressed” by the 28-day shutdown, which is “badly hurting” federal employees in their states and across the country. Thousands of federal employees and their families are applying for unemployment to get by as the longest government shutdown in U.S. history drags on with no end in sight to the standoff over the Republican president’s demand for money to build a wall along the U.S.-Mexico border. The Labor Department says federal employees not working during the shutdown can collect unemployment, while those who are on the job without pay cannot. California Gov. Gavin Newsom, also a Democrat, said Thursday that his state will give benefits to people still on the job despite the guidance prohibiting it. About 3,000 federal workers in New York have applied for unemployment benefits, according to Cuomo’s office. More than 2,000 have done so in Washington state. 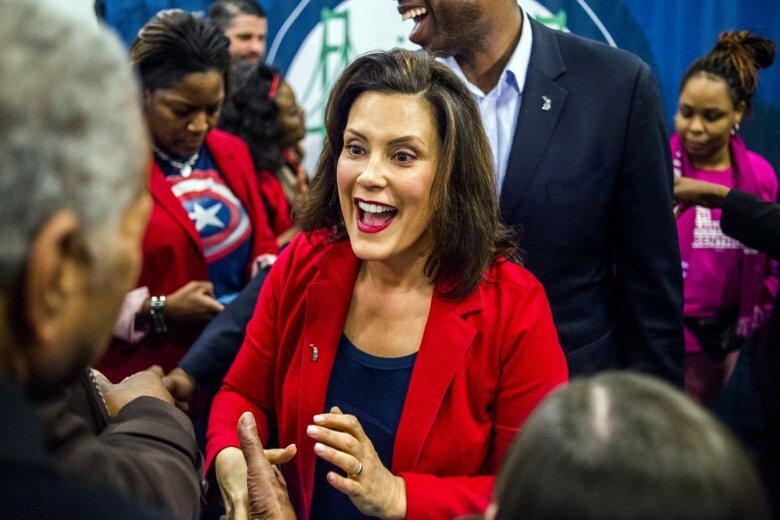 Whitmer separately wrote a letter to Labor Secretary Alex Acosta asking for a waiver to the unemployment insurance eligibility rules. “These workers especially need our help to ensure they can survive the shutdown without losing their homes or their ability to pay for necessities,” she wrote. In response to the governors’ request, a Labor Department spokeswoman said the law considers those performing “excepted service” employed and — consistent with 2013 guidance — not eligible for unemployment insurance unless new legislation is enacted.